This is a slower year. The pig rolls around in the mud awhile before it moves forward. The pig loves to hoard, and rejoice in the abundance of the Earth. Who did you come from? What did I inherit from my family lineage? What are the worst parts? What am I here to clear from my lineage? What is my soul mission at this time in history? The pig rejoices in the knowing that its greatest destiny is to be here now. The pig doesn’t know the farmer is only “fattening” him up for the slaughter. The pig only knows that abundance is here and now. The smart pig begins to notice something is off, when the farmer starts to give less and less. Thus, the lesson of the pig year, is knowing when to give, and when to receive. This is paramount for this year, as humanity prepares for the 2020’s a decade of immense global change, rising up, and returning to the old ways. This is where intuitive will go far fast. For this is a year of balance, of finding your way through the greed of the world, and remembering true wealth is in generosity. This is a year where it is important to gather with those of like mind, like heart, and the same soul path. You will know them by the light in their eyes, the curve in their smile, and the way they make you feel in their presence. The Earth Pig brings two gifts. The first is the ability to rejoice in the abundance of the Earth. The second is to slow down to enjoy the journey of life. There is a delicate balance between generosity and greed at hand. It is an important year to save, but it is also an important year to give. Know when to give, and when to save. 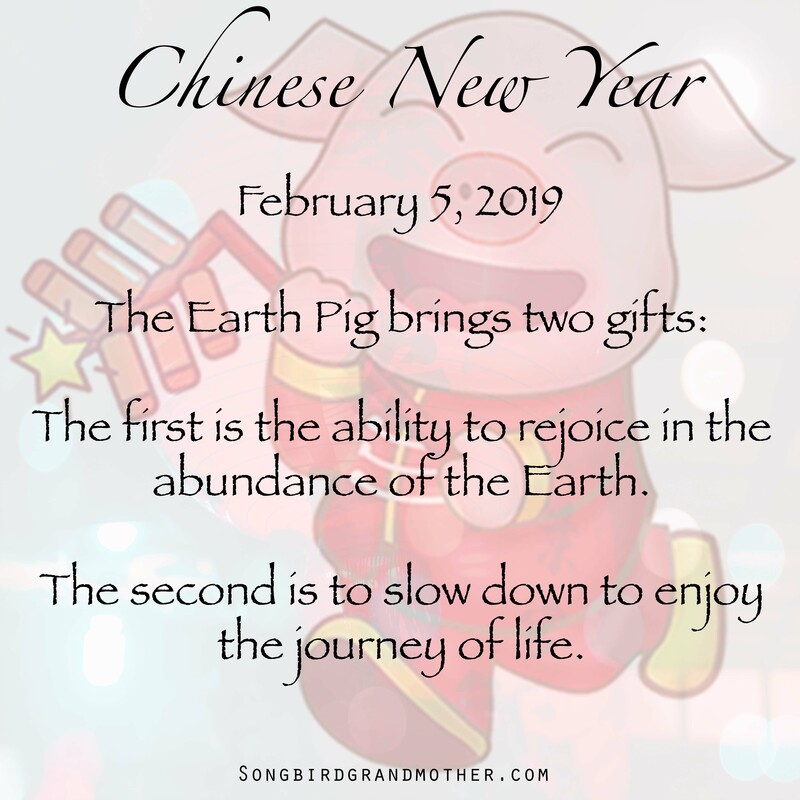 The Earth Pig invites humanity to return to the way of the Earth, and remember your legacy is held in the gentle balance of giving and receiving. Set your intention now, and give it the time and attention it deserves to help it grow and grow. This is the year to work close with the Earth, and remember you are a child of Mother Earth. Cheers to a year of generosity!